It is quite often that we may accidentally delete certain messages in the inbox. Or sometimes when we leave our smartphones with kids to play, they may delete certain relevant messages unknowingly. Earlier when it got deleted then restoring them is like crying over spilt milk. But now with the help of advanced applications we are able to reinstate them without any delay or complication. In this article I would like to introduce before you two such applications which help you in reinstating certain data in your smart device. The application that reinstates data in iOS gadgets works smoothly in iPhones, iPod Touch and also with iPads. This will help you to have single version of the application for all these gadgets. More often you will be able to recover data from either iTunes or from iCloud, provided you have the backup of those data. But the problem is that these don’t guarantee a timeframe backup to recover those messages which we have deleted a few moments ago. Here you may have to depend on applications like iPhone Data Recovery. 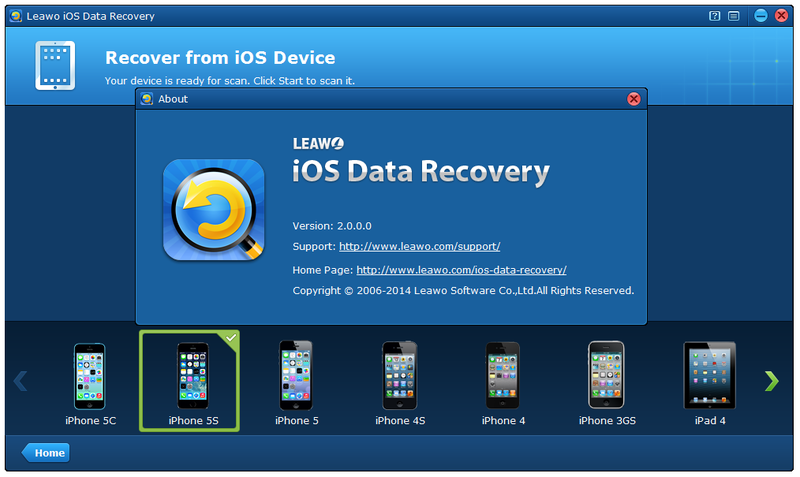 Here I would like to mention the steps that you have to follow to restore the data in iOS devices. You have to download the software or application package named iPhone Data Recovery. This may cost you a sum of $69.95. Then you are required to install the application package in your system. This application is compatible with Windows XP, Vista, Windows 7, 8, 8.1, Mac OS X 10.6, 10.7, 10.8 and 10.9. The same application is available on a trial basis if you want to familiarize with the application before having a paid version. Now you have to connect your device to the system in which you have installed the application. The application will be initiated automatically. Now you have to click on Start Scan Button, to initiate the search for messages, contacts, photos and certain other similar files which got deleted. After initiating scanning, you have to make sure that you have entered DFU mode. This mode can be activated by holding the Power Button and Home Key of your device together for some 10 seconds. Then you have to keep pressing Home Key alone by leaving Power Button, for another 10 seconds more. The application automatically informs you when the task is done. Now you will be able to see contents ordered according to their nature such as videos, photos, messages, contacts, call logs, memos and so on. Once you find the particular file which you would like to recover, you have to select it by checking the box to the left of it and then by clicking the Restore Button, which you can find on the lower right edge of the screen. If you would like to recover everything, then you have to click on Recover Button. This will command the software to automatically select all the files in one go. Make sure that you have synced the gadget with the system with the help of USB cable. Now you have to wait for the software to initiate by its own. Then you have to get into backup option in iTunes and select recent files. After that you have to tap on those files to display its details. By looking on those details you can decide whether to accept or to reject certain files. When you are finished, you can now tap on Recover Key which will match the files between those in your device with that of backup in iTunes. First of all you have to get linked with iCloud Website and then you have to log-in to the respective account. When you are logged-in, you are allowed to see the files backed up in iCloud. Now you can get those files copied to your system to get its details. You can unseal each file and verify those messages which are lost from your device. Then you have sync the specific device with your system to copy down needed files. 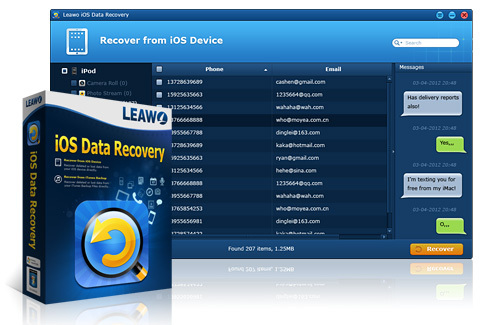 Like iOS devices, there are certain data recovery applications available for Android devices also. Some of such applications are Kvisoft Data Recovery, Android Data Recovery and so on. Here I recommend Dr. Fone otherwise popularly known as Android Data Recovery. Customer reviews also favours the use of this particular application. Many suggested that this particular application is the best available in finding deleted files. Here are certain steps that you must follow to use this application. You have to download this application either by paying a sum of $49.95 or you can opt for a trial version. This particular application is compatible with Windows 7, 8, even with Windows XP and Vista. It is also compatible with Mac OS X 10.7, 10.8 and 10.9. After finishing the download, now you have to install the application. Then you have to initiate the application and the sync the device to the respective system. This particular application is designed in such a way that it will direct you at each step. This application will ask you to enable USB debugging. This can be initiated by selecting Settings>> Applications/ Developer Options/ About Phone>> USB Debugging. You have to ensure that this setting is selected in your respective device. After that you have to click on the option Next. Now you to wait until the application identify your device. When it is done all the details regarding the device like its model, brand etc will be displayed on the screen. Now you are allowed to tap on the Start Key, which you can see down to Android Logo. Now the program will initiate its search for messages, contact details, videos, images and so on. Now you have to select Allow, when message is displayed. The files will be shown in another window and you are allowed to go through its details. Then you are allowed to choose those files which want to reinstate in your device. Now you can click on Restore Button to reinstate those files and data. If you have copied those data to Google Cloud, then you are allowed to get its copied down to your device without any complication. All you have to do is to follow the below given steps. You have to select Settings Folder from Main Menu and then click on Backup & Reset. You have to make sure that Automatic Restore is selected. Then you have to select Backup My Account. If the Google Cloud is not available then the only option left is to depend on Android Data Recovery Application which is cent percent reliable and simple to use.